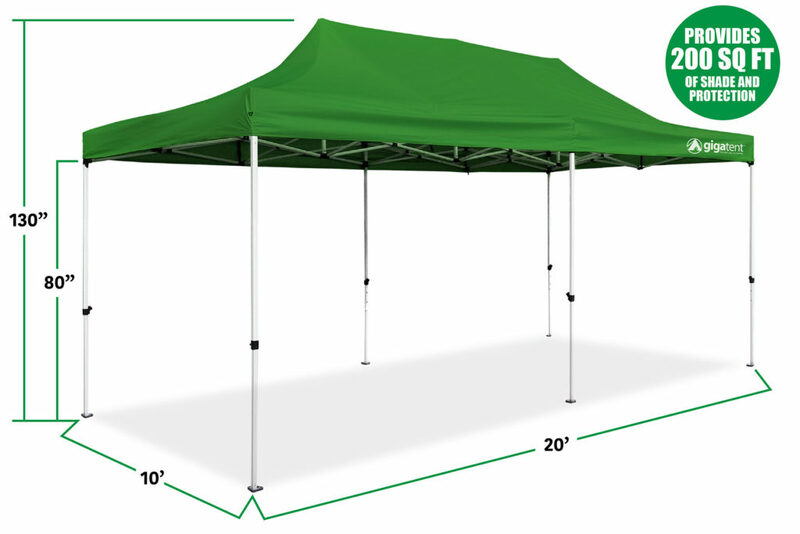 PROTECT THE PARTY: When the party is outdoors, keep everyone safe and secure from extreme weather conditions with this amazing canopy! It blocks harsh sunlight, rain, and wind to keep the fun going! 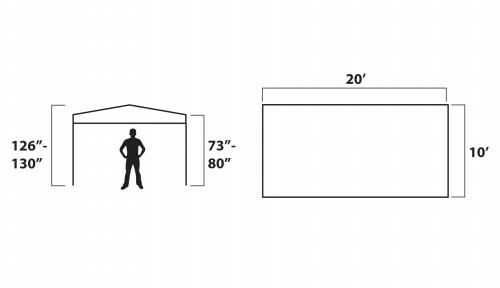 EXTRA WIDE TO FIT THE WHOLE CREW: The 20 x 10-foot canopy gives you 200 square feet of space to fit everyone in for BBQs, picnics, parties and special events. 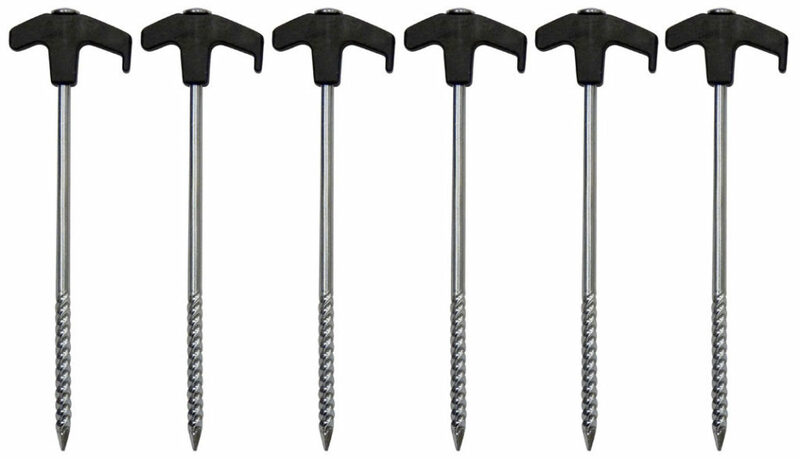 The adjustable height offers more versatility! 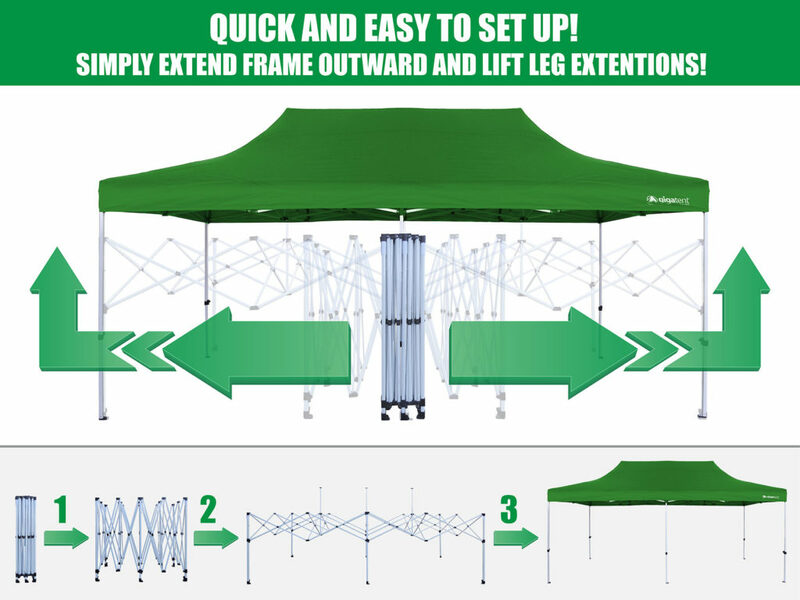 EASY SET UP: Get your canopy assembled in minutes! Only 2 people are required to set up, and it will be up and ready in less than 10 minutes. Perfect as a last minute shelter for sudden weather changes! 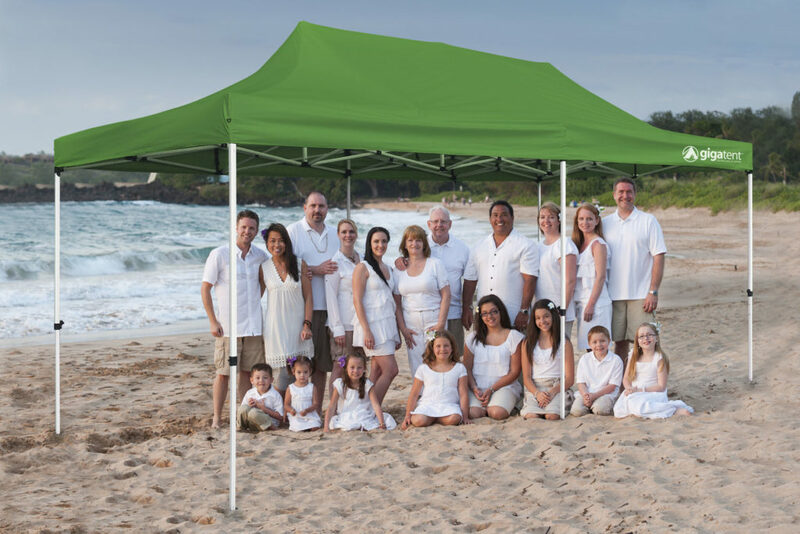 HEAVY DUTY & WEATHERPROOF: With a strong polyester taffeta roofing and powder coded steel accordion style frame, your durable canopy is built to last. There are extra stakes and lines to handle strong winds. TRANSPORT IS A CINCH: Need to carry the canopy on a long trip? Say no more! Each canopy comes with a heavy duty carrying case with wheels so you can effortlessly lug it to and from your destination. When the sun’s out, the party’s out too! With GigaTent’s extra-wide canopy, your outdoor extravaganzas will always be perfectly shaded and protected! We’ve all experienced those summer days where the weather is completely unpredictable. It’ll rain, be super-hot, and windy all in one day. 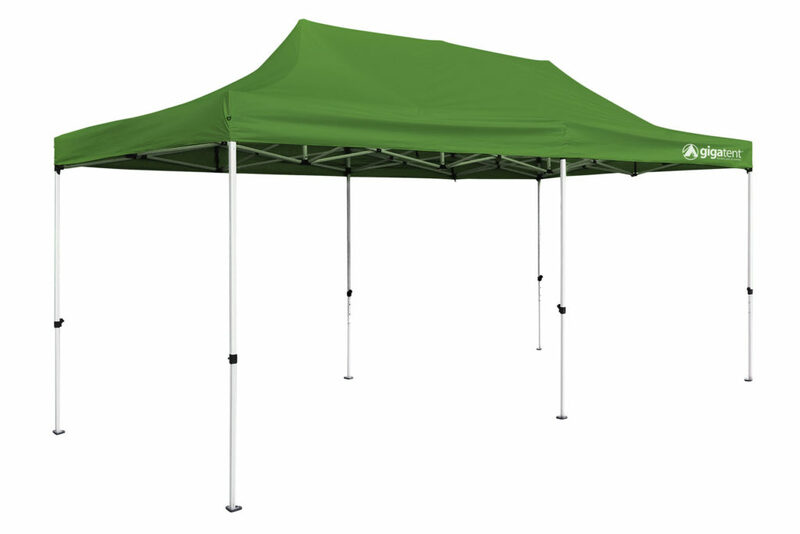 With the canopy, you and your fellow party goers are perfectly safe from extreme weather conditions. It’s extremely durable and super wide to accommodate all of your guests easily! 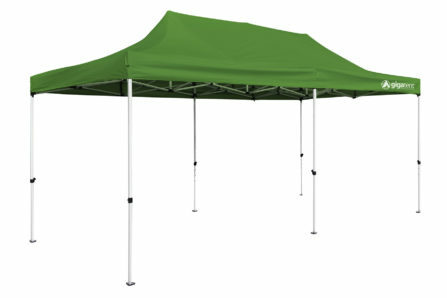 Amplify the enjoyment of your picnic, barbecue, sporting event, or any outdoor bash by deploying this amazing canopy! 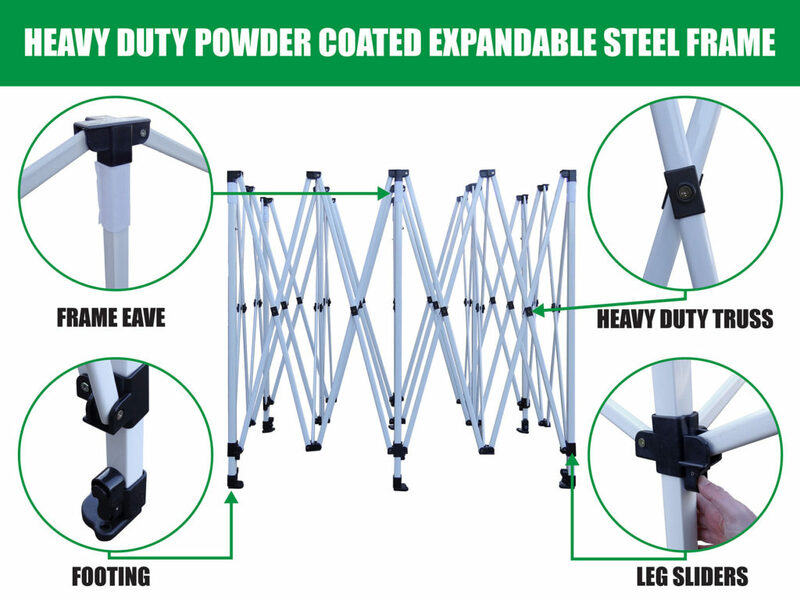 Able to be assembled in less than 10 minutes by just 2 people, getting your canopy set up for the action is a no-brainer! With the extra shaded area added to your event, you’ll always have a safe spot you can always retreat too when the weather gets too hectic. Great for protection from the rain and harsh sunlight! 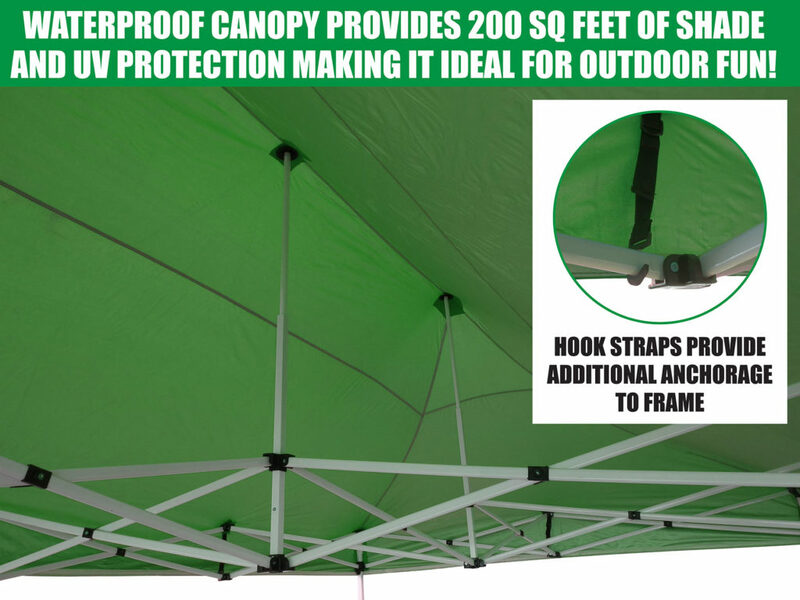 It comes with extra stakes and lines so you can safely secure the canopy to the ground whenever the wind whips up. Need to take your canopy to a campsite miles away? 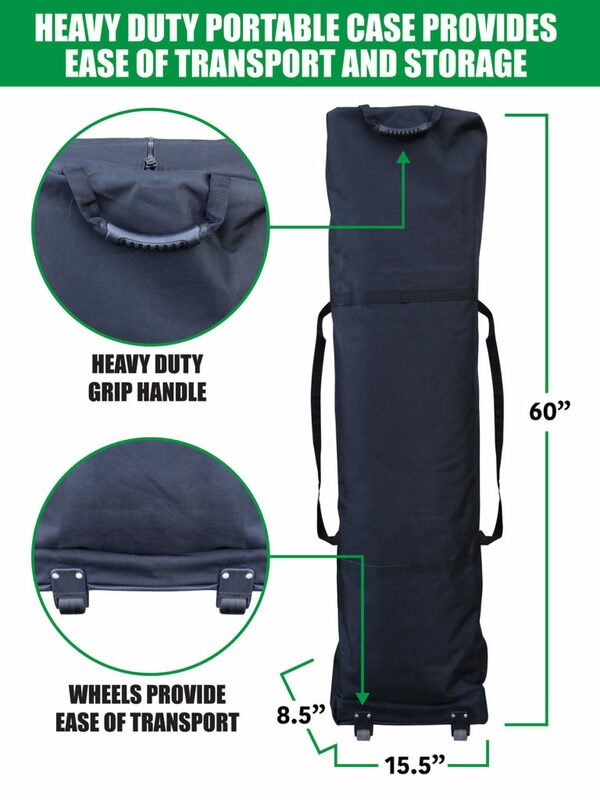 Moving the canopy from here to there is made even easier with the included carrying bag! It even comes with wheels so you never have to lift it for too long! Designed for optimal coverage and long-lasting purpose, GigaTent will become your best outdoor companion! Get your new canopy now and enjoy the outdoors with premium comfort!